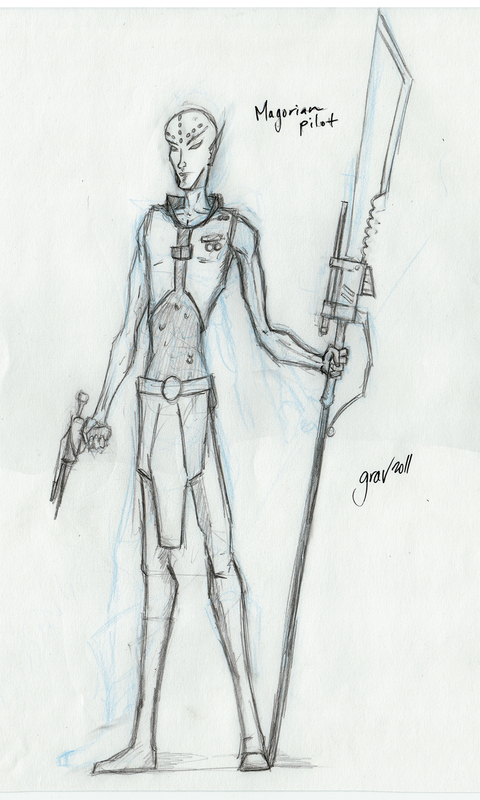 Savaged is a dangerous Universe, full of races based years of my character and concept designs. Most of which are not the pleasant cuddly types you find on the small forested moon of Endor. The Majo’rian are a race based upon the concept of a world where their version of the Third Reich won. An entire empire that is completely lacking in the diverse rules that make up, what we consider, normal human life. With that level of ethnic cleansing the race suffered as many hardships as they have had triumphs. A singular vision and drive has given the race an almost unparalleled level of bio-designed technology, yet their minds are fractured and tortured landscape. Easily taken by madness, and often sporting weakened immune systems and a wide variety of rare genetic mutations. It has taken all the science and medicine of an entire solar empire to develop the cures and genetic/cybernetic advances for what ails this “master” races sometimes frail and fragile bodies. However no amount of science, reasoning or technology has managed to cure their rage, hatred, and almost boundless drive to murder all other races they encounter. Their technology blends bio-engineering with genetic manipulation on a level that almost marvels and surpasses the rest of the Universes technological races. Their factories are great fields given over to literally growing their spacecraft, their weapons, and their medical technologies. Their conquest for genetic perfection has led to a passionless and efficient system were the entire race is grown, rather than born. Either created or brought into existence to be a warrior, a ships commander, or doctor, based on the needs of the empire. Their megalomaniacal drive to become the single surviving race of the universe has led them to become of of the most dangerous and warlike forces. Their expansion having led to the first and third Galactic Wars, as well as the establishment of the Majo’rian Line. Their Empire being one of the single largest threats to the Federation of Known Species. Expansion however has been but a small piece of the Majo’rian’s master plan, as they have reached out to conquer as much of the surrounding universe as they can, they have systematical cataloged, and then eradicated any and all intelligent life they have come across. The genetic materials of all the other races they have come across being folded into their science, as they have picked and chosen the parts of each they wish to keep, copy and modify for their own continued hold on the insane and perfected idea of a “Master” Race. 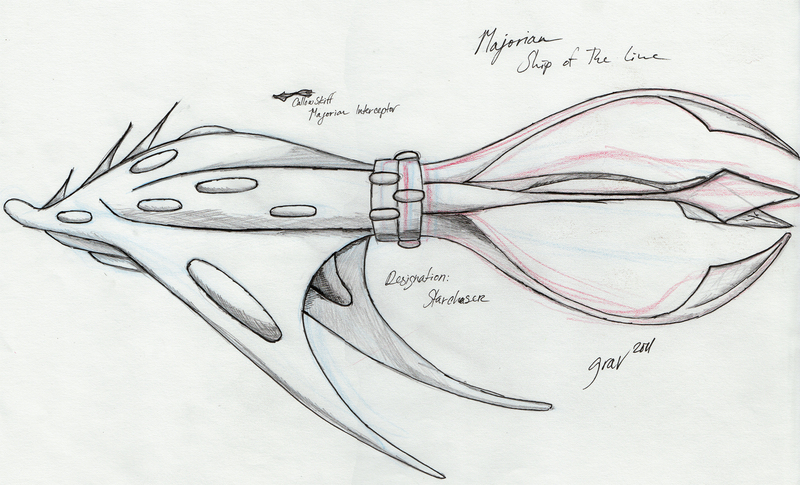 The Majo’rian are possibly one of the scariest concepts I have ever tried to describe through my art. But the world of Savaged is filled with endless possibilities, some dark and some unimaginably beautiful.